Our staff will conduct an on-site survey to verify the measurements of all the objects we are beautifying and for us to assess the condition of the objects. We will provide the dimensions for your artists to create their masterpieces. If you already had artwork developed prior to this step, you can edit the art or we can custom fit the designs to the objects that we are beautifying. We will provide proofs for each beautified item for your feedback and approval. 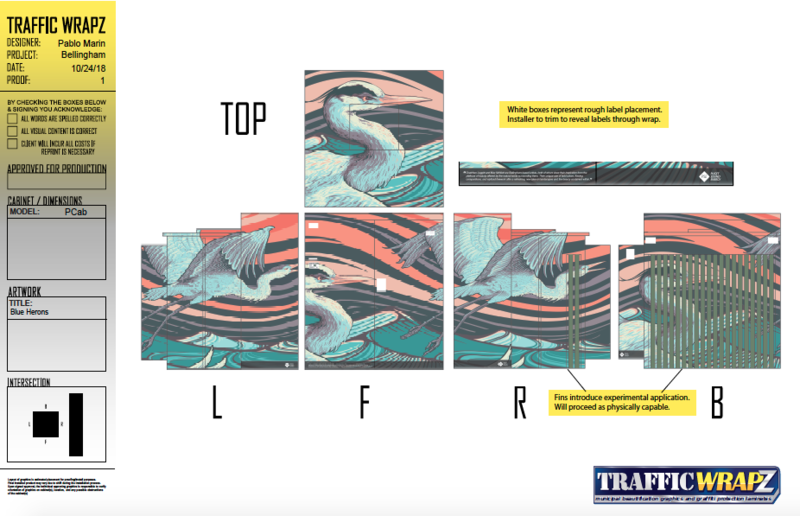 For this particular cabinet, our designers figured out a way to beautify the fins on the back of the traffic cabinet. Any way you look at it, the art can be seen. Our TW Certified Installation Team will be on-site in uniform to execute our safety, cleaning and installation protocol. 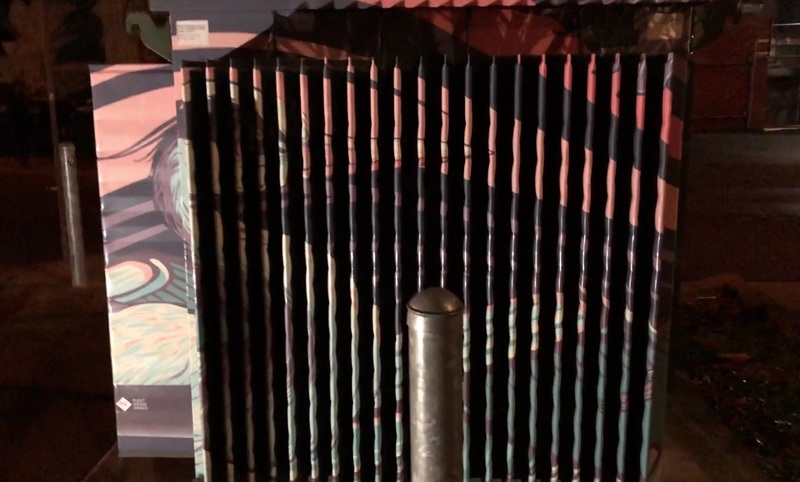 Watch the video from PSE about their ARTility project, including cabinet wraps by TWZ.